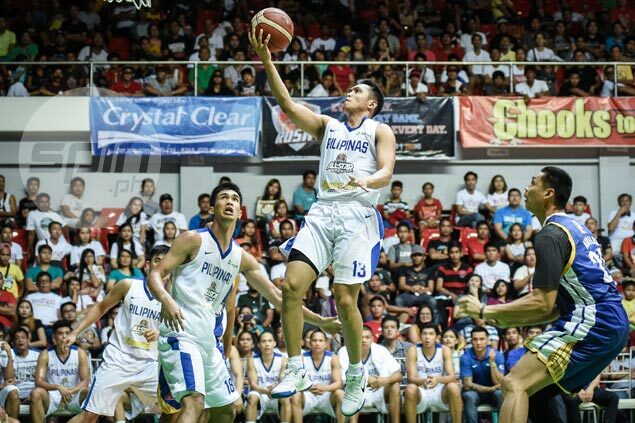 LUCENA - Gilas Pilipinas got its bearing going in the final stretch to pull off a come-from-behind 122-111 win over Luzon All-Stars in the PBA All-Star Game at the Quezon Convention Center here on Friday. Down 111-105 with less than five minutes to go, the national team sparked a 17-0 run that finished off the Calvin Abueva-led All-Stars. Matthew Wright was named MVP, but it was Kevin Ferrer, Troy Rosario, and Carl Bryan Cruz who conjured magic in the telling rally. Rosario's three-pointer with a little over a minute left proved to be the dagger, 120-111. "I told the guys in the dugout this is what the program is all about: fighting maski down na ng malaki. That's exactly what we did," said Gilas coach Chot Reyes, whose team was down by as much as 17 points. Jonathan Grey led Gilas with 19 points and three rebounds. Japeth Aguilar paced the All-Stars with 18 points and seven rebounds.